He looks like a wolf! That is such a cool picture. 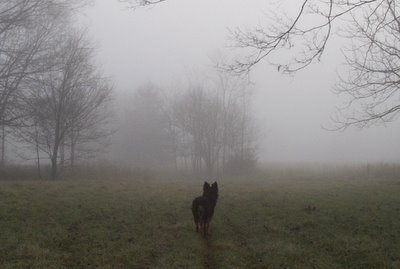 Taking pictures of fog is very difficult and you did it very well. Great photo! What is he looking for?